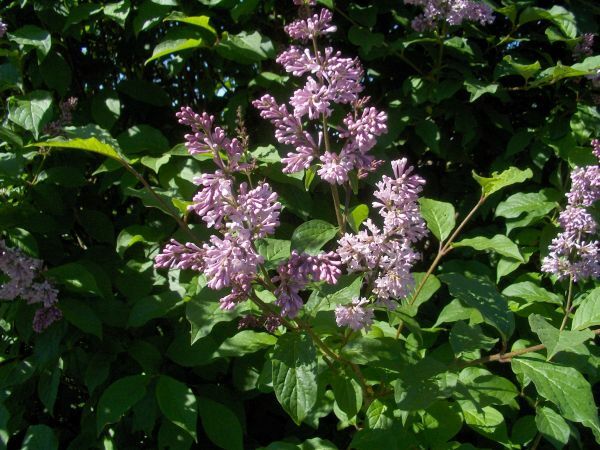 Lilacs, or “syrin” as we call them in Norway (probably from the botanical name Syringa). With June, it is officially summer. Â In Norway at least, the official summer months are June, July and August. It is already this hot in June, and the remaining dandelions have turned to fluff. Â Despite the heat, I took another long walk. Â The second day of Pentecost is a day off in Norway, probably not so much for the sake of the Pentecostals as because it is a nice time of the year to have a day off. Â Pentecost is not a big holiday in the post-Christian Scandinavia, and even to the older generation it looms not nearly as large as Easter and Christmas. Â Consequently, I not only bought some food but even quietly mowed a bit of the lawn. Â I see that as exercise rather than work, actually. Â But I would probably have taken the walk even without the excuse of going to the shop nearly half an hour’s walk away. Â It was a beautiful day, and wind made the heat just bearable. Of course, my body is still accustomed to the chilly spring. Â Hopefully it will adapt before the true summer heat sets in.